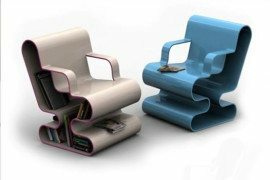 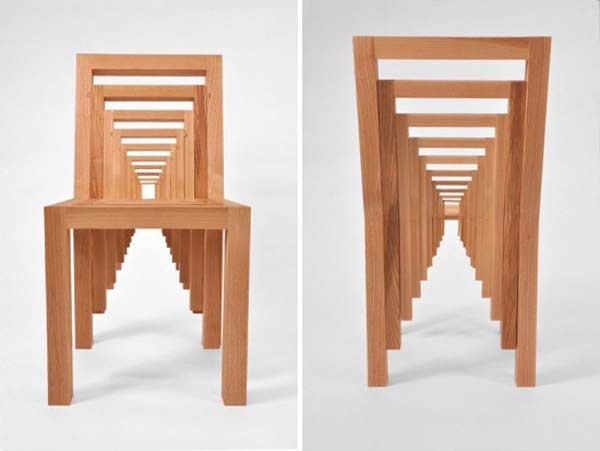 The Inception Chair surprises an artistic concept that was put to good use. 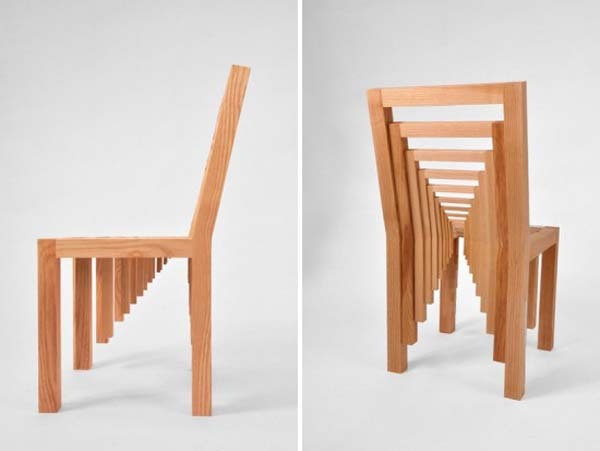 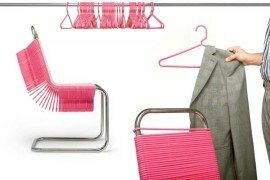 By nesting one chair frame into another, designer Vivian Chiu managed to create a beautiful chair design that plays with perspective in a creative way. 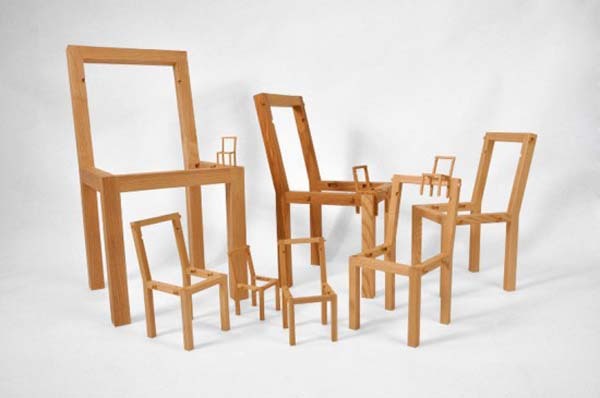 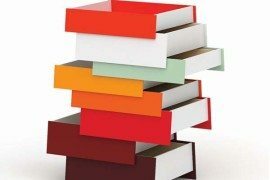 Chair-like objects were placed within each other, in progressively smaller sizes. 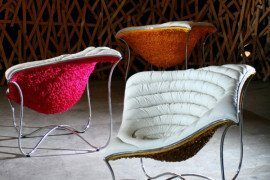 Each of the elements has its own hand cut grooves on the inside edges of the seat frame and each of them also has notches in the back of the seat. 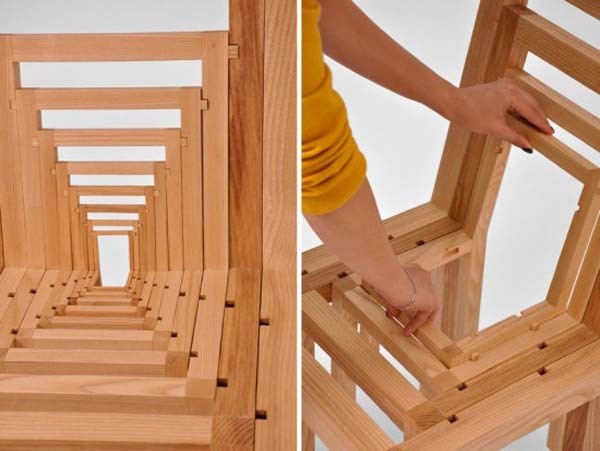 This allows the chair to be easily taken apart and reassembled. 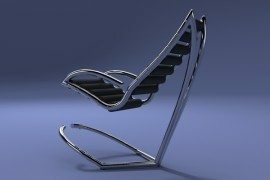 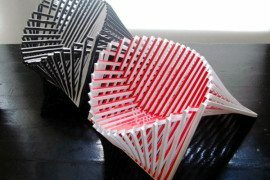 So, whenever you want to play with this artistic chair and you get tired playing, you can easily put it back together and rest. 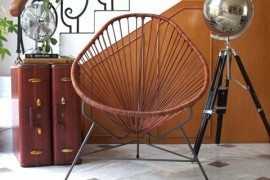 This chair within a chair is made from ash and it will help you get inspired just like a dream would. 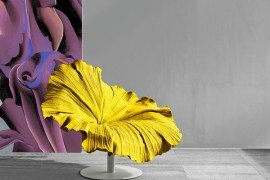 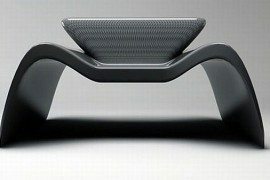 Enjoy the photos and don’t forget to tell us what you think about the Inception Chair.